Our frameless Glass balustrades provide a clean simple solution to maximise the view from your veranda, second story balcony or deck. 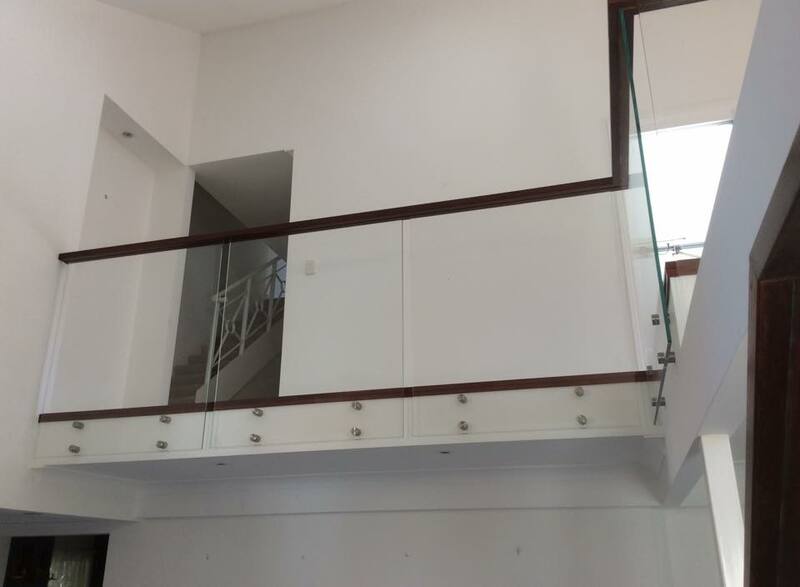 We provide a professional design and installation of frameless glass balustrades. All our frameless glass balustrade systems consist of 12mm toughened glass and high quality 2205 Duplex Stainless Steel or 316 Marine grade stainless steel hardware. 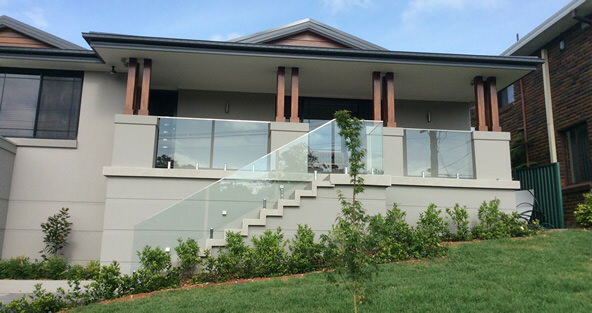 In accordance with Australian Standards, frameless glass balustrades protecting a difference in ground level of more than 1 metre must have a handrail or top rail. We have many different handrail or top rail options. If a totally Frameless Glass installation is what you are after, please give Amon a call to discuss our toughened laminated glass custom design option. Handrails are required where the drop over the fence exceeds 1000mm (1m). Handrail or top rail can be mounted on the top edge of the glass or fixed to the side using stainless steel brackets. Powder-coated Aluminium is a great option if you are wanting a custom made look for your home. Mirage Frameless Glass specialise in Timber top rail or handrail. As Amon is a qualified Carpenter, he can create the look that best suits the design for your home. What timbers can be used to create custom handrails or top rail? The list below are common options. If your home requires a custom design, Mirage Frameless Glass can source these for you. All work carried out by Mirage Frameless Glass is compliant with Australian Safety Standards. Mirage Frameless Glass is licensed and insured.